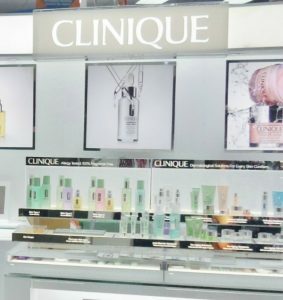 Many, many moons ago my Mother-in-law introduced me to Clinique. She wanted to save me from the dangers of drugstore cosmetics and didn’t want me to break-out from makeup that clogged my pores. I’ll tell you, once I tried them, I was impressed. The color lasted, the products worked, they felt good, the department store ladies were always so helpful and I felt like I was part of a special cosmetics “club.” (Plus, they have all those extra free bonuses!) At the time, Clinique seemed like they had great products and I thought we were making good, safe choices. 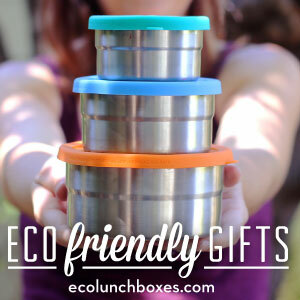 But as I became more eco-conscience and health-concerned, I started wondering about my makeup and facial care. I thought, “If organic food is good for my body and cosmetics go ON my body and are absorbed by it, shouldn’t my makeup be organic too?” With that thought in mind, I started reading labels. What the Heck is Dimethicone? Four strikes, I had enough, I moved on to one of my next favorite Clinique products. As I started checking the other products, I was just as disappointed. My great covering foundation has an active ingredient of octinoxate which has earned itself an EWG rating of 6. SIX out of 10, leaning on strong evidence as an endocrine disruptor, a reproductive toxin, and a danger for wildlife and environment. It also includes octisalate which is thought to have immune or allergenic effects and is a suspected environmental toxin with a rating of 4. As the final straw, the number one non-active ingredient in my favorite foundation? Yep, you guessed it, dimethicone. Lead. 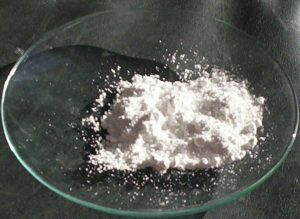 Is it Really Used as an Ingredient in Lipstick & Makeup? Although the FDA is OK with lead in our lipstick and assures us that it is safe, my question is WHY? Why do we need lead in lipstick? Joyfully, I no longer wear lipstick everyday (I am blessed with a dark complexion and naturally pinker lips), but when I do, I skip the lead carriers and wear Poofy Organics. * No lead, great color and wears well. From my experience, lead is not needed in lipstick, so why take the risk? 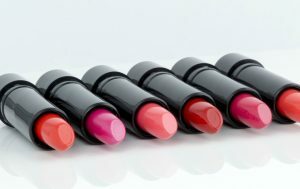 For more information on lead and other toxins in lipsticks, here is a brief but helpful article by Dr. Axe at Draxe.com. You Had Me at Dimethicone! Honestly, I only needed to check out a few of Clinique’s products and the EWG’s list of Clinique’s common ingredients to know I was done. I found nothing in my Clinique research that made me happy. 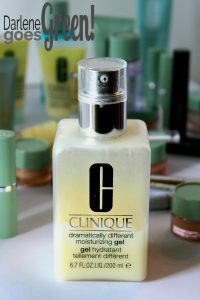 More than that, I was very frustrated that Clinique works so hard to keep us from knowing what’s in their products. On their website, you have to dig deep to find any mention of ingredients. They hide the word in their FAQ section and you actually have to contact them about the specific ingredient that concerns you. They never tell you ANYWHERE. It’s even hard with a Google search. I had to rely on pictures posted by others or go into a physical store to check out the ingredients of products I don’t already own. So much for understanding their products before you buy. Now you have to decide, is it OK to use a little because it works so well? For me, the answer was a solid “NO,” but if you love Clinique it’s really up to you. I often tell people, you have to “pick your poison.” Sometimes there isn’t an alternative or for reasons that only you know, you have to make exceptions and take some risk. But for me and for these products, as far as I’m concerned a little bit of organ toxicity, a little animal testing and a little “possibility of tumors” and danger to the environment is a little too much. Especially since dimethicone, tocopheryl acetate, octinoxate and other hazardous ingredients are probably hiding in more than one of my products. They might be considered low risk when used in small quantities, but if you use several products that contain them, the risk is increased as the quantity increases. Bummer. 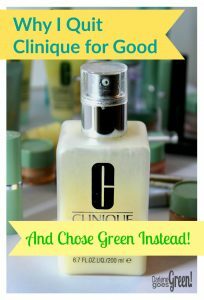 Are There Green and Healthy Alternatives to Clinique? Yes! 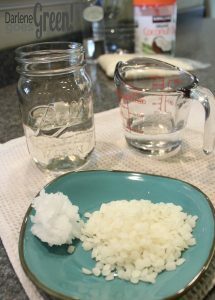 DIY or making your own is a great and safe way to know EXACTLY what is in your products, but it’s not easy or convenient. I’ve tried making a few things like foundation, body butters, lotions and cleansers, but I haven’t found recipies I feel are worth the time and effort. Overall, I’ve used a bunch of expensive ingredients and have created nothing, but messy Pinterest fails –I could start a board! 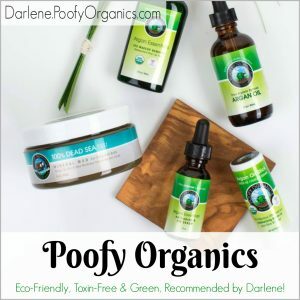 Next I tried a few different products starting (sadly) with a some common store greenwashers, but after doing my research and testing, I now primarily use Poofy Organics* for my facial care and makeup. I’m very pleased with most of their products, especially as an alternative to Clinique. They are a transparent company and list EVERY ingredient on their website and product labels, so we know exactly what we are putting on our bodies before we buy. My new daily face lotion is primarily whipped, creamy organic unrefined shea butter and organic apricot kernel oil. I’ve replaced my Clinique 3-Step with Poofy Organics Flawless Face and 100% organic argan products that include makeup removers, cleansers, and moisturizers (with and without SPF). 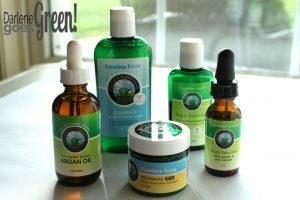 Poofy Organics makeup is clean, safe, organic and wears well without feeling sticky or heavy. You can see the full ingredients list of my new face lotion here. Every ingredient is organic except for those items which the USDA doesn’t offer certification. With Poofy Organic’s* greener, healthier options for me and the environment, I no longer mourn my old yellow moisturizer and not only does my skin feel great, but I can feel confident that my new green choices are better for my skin, my body and the environment! Bye, bye forever Clinique! 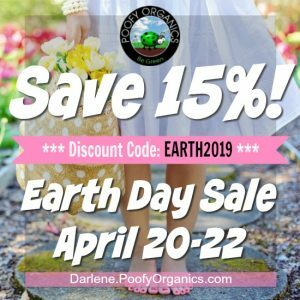 *This post includes affiliate links to Poofy Organics. Thank you for your support! Related Post: Why I Recommend Poofy Organics Products, Is Young Living Really Better Than Poofy Organics? I use Perfectly Posh and Fatco for my skincare products. I use the Fatco deodorant and cleansing oil. For face masks I use Perfectly Posh. So far everything works pretty well for my combination skin. For makeup I use Jenulence and Pacifica. I don’t wear makeup that often, but when I do I always prefer more natural or healthier alternatives. Even my daughters are asking, “Can you buy me some of your makeup when I’m older?” Hopefully it still exists. lol They are only 6 and 4, but I’m glad that they are already following my example. How sweet & awesome for your girls that you can help them appreciate the benefits of green beauty through your example. Great job Mom! 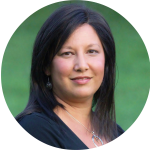 Check out Young Living’s amazing skin care, makeup, and other lines of nontoxic, synthetic-free, and highly bioavailable products. Never tested on animals.